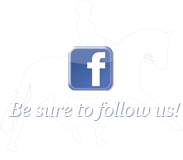 The USDF Certified Instructor Workshops are designed to educate dressage students at many levels. 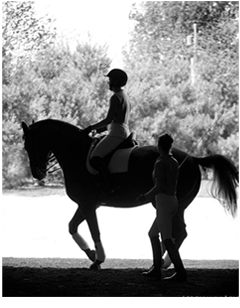 Workshops provide a wonderful learning opportunity for students at all levels to learn classical theory of riding, training, lungeing and teaching. The workshops are also designed to provide an intensive training experience for instructors and aspiring instructors to assess and further their practical skill level. Through participation in USDF Workshops, individuals can gain more theoretical knowledge, improve their skills and determine whether or not their current level of experience and expertise approaches the standard needed to become a USDF Certified Instructor. 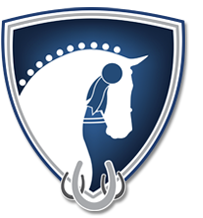 There are three workshops offered: a Riding/Training Workshop, a Teaching Workshop, and a Lungeing Workshop. Workshops are taught by USDF Faculty and Examiners, all of whom are highly respected trainers and instructors in the United States. INTRODUCTORY LEVEL WORKSHOPS: to develop the foundation techniques for the more difficult USDF Instructor/Trainer workshops. The Introductory Level Workshops will focus on the practical skills involved with each topic area. Introductory Level Workshops are open to everyone at any level of expertise. LUNGEING: to teach correct lungeing principles and techniques for training the horse and rider. RIDING WORKSHOP: to review and apply the classical methods of schooling the dressage horse, and to provide an opportunity for the Participating Instructor to improve his/her practical riding skills, his/her ability to assess the horse’s training, and the instructor’s knowledge of how to relate the concepts of the training scale to the development of the horse. TEACHING WORKSHOP: to develop effective teaching and communication skills that will enable the participant to become a competent instructor. The workshop is an opportunity for the Participant to improve his/her ability to assess a student, and expand his/her knowledge of how to relate the concepts of the training scale to the development of the horse and rider. The Participants will also be evaluated on their presentations of a private lesson as well as a group lesson.